The ideal temperature may be up for debate in your household, but keeping every room in your home comfortable is a breeze with the right thermostat. 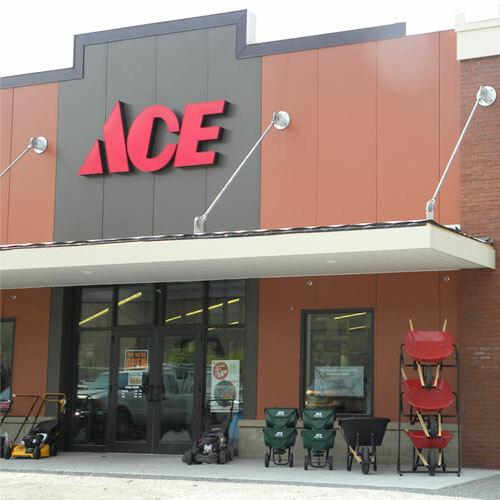 Shop Ace Hardware to find thermostats to make the most of your home's heating and cooling system. Manual thermostats are a cost-effective solution for controlling the temperature of every room in your home. Upgrade your current system with a modern manual thermostat that provides precise control of your heating and air conditioning system. With a digital programmable thermostat, you can set your heat and air conditioner to activate on your schedule. Program your system for daily or week-long use to have the ultimate control over the temperature, all while saving money on otherwise costly heating and cooling bills. Look for touch screen thermostats to add a modern design element to your home, or choose classic thermostats for a traditional look. For even more control over the temperature of your home, smart thermostats provide extra flexibility. Smartphone apps allow you to control these Wi-Fi thermostats when you're away or on vacation to ensure you're not spending more on heating and cooling than necessary. Before you return home, simply adjust the temperature back to a comfortable setting from your app. Shop Ace Hardware to find a wide variety of different thermostats, including traditional models, programmable thermostats, Wi-Fi enabled models, and smart thermostats that can be controlled from anywhere you are.